Tracy Roesch Williams brings over 20 years of business experience, from being a customer service rep for an airline– she’s lived in Boston, Savannah, and Orlando, plus many little towns in between to making Anchorage, Alaska her home. 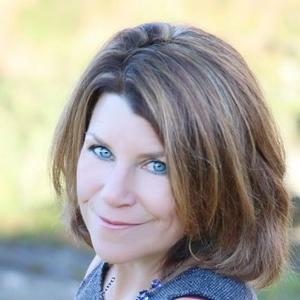 She began her entrepreneurial experience in Alaska by working in radio as an account executive, being the Developmental Directory for the Anchorage Downtown Partnership, and then launching a popular mobile dog wash, Rub-A-Dub-Dog. Six years later, she went on to earn a real estate license. Then she went into business for the next five years, selling residential real estate. During her business journeys, she discovered that her passion revolved around helping others in business. So, factor in years of familiarity with numerous types of businesses facing and overcoming obstacles in her own business ventures, and you have the structure and heart for helping other businesses learn social media marketing to grow their own businesses: Alaska Tracy. What happens when businesspeople face profit loss, lack of growth, and just plain confusion? It’s not a pretty picture, unless they brainstorm with someone like Alaska Tracy.